After three months of painful revelations of sexual misconduct of priests and bishops, along with allegations that some bishops covered up these criminal behaviors, this weekend we are seeing some positive developments. Before I spell out these new developments, it bears saying once again, that as Church, and as an Archbishop, we apologize again to victims of sexual abuse. My prayer and plea during these past few months is that by our actions we give clear evidence that we are listening compassionately to victims while at the same time taking actions to report their claims to appropriate law enforcement and exercise due diligence to independently investigate their claims. Because I have heard from many members of the Church, I am aware of the serious questions on your minds as well as the pain, confusion and anger this present moment has caused you. Therefore, I’m happy to report the following developments. 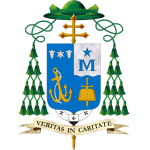 On Saturday (October 6, 2018) the Holy See made the following announcement regarding their investigation into the advancement of now Archbishop McCarrick to the levels of bishop and cardinal. The statement is below. Note that the USCCB Administrative Committee also supports a full, independent investigation into the McCarrick file here in the United States. Read Statement here. The people of God asked for (if not demanded) such an investigation, and it is now underway. In an equally encouraging development, the Prefect of the Congregation for Bishops, Cardinal Marc Ouelette, issued a letter today rebuking the claims and accusations of Archbishop Vigano against Pope Francis. I encourage you to read this letter also. An English translation of the letter can be found here. While these are initial steps, they are important and encouraging. There is no doubt more that will need to be done, but these developments give me hope that as Church, we are being clear that there is no room in this Church for abuse and cover up. I invite all to continue to pray for our Holy Father, Pope Francis, and to heed his call to each member of the Church during this month of October to pray for the protection of the Church from all evil, by praying a daily rosary, recite the prayer to St. Michael the Archangel, and the Memorare. Our Good Lord has not, does not and will not abandon us.